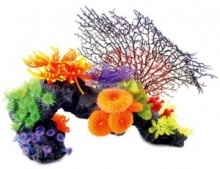 Ideal for any family Aquarium Aqua One's range of Sea ornaments comprises fun, brightly coloured characters which are guaranteed to raise a smile from any fish keeper young or old. 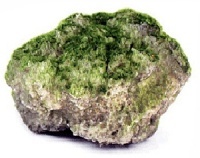 The Sea Range are non- toxic and safe for use in any aquarium so you can let your imagination run riot. 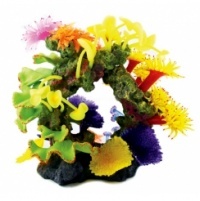 This 38cm Marine Coral Reef Archway is ideal as a centre piece or combined with other coral ornaments in a larger setup, providing a bright and interesting play area for your fish to swim through and investigate. Aqua One's Sea range of Ornaments are great fun and value. This pack features a mini Blue Whale and a very smiley Yellow Boxfish. The scale is all wrong but the family fun is all there. 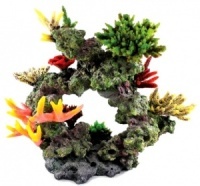 Both items are very colourful and ideal for family aquariums and to introduce youngers to your own underwater world. These make us smile every time we pack them. If you would like your set up to have a fun vibe or to make children smile stop right here, place an order, your work is done. The Aqua One Mini Lobster and Violin playing Octopus will make children of all ages grin. These small ornaments from Aqua One's Sea range are guaranteed to raise a smile and are superb for family orientated set ups or to attract a child's interest. The brightly coloured grouper and funny 'no fishing' clownfish are suitable for any set up with a sense of humour. Bring One corner of your aquarium alive with fun and colour. This humorous Octopus come complete with his own corals and is guaranteed to raise a smile form young and old. Specifically produced by Aqua one for Aquarium use so very safe in any set up. One of our best sellers. These funny snails are sure to raise a smile as they appear to mooch along the gravel in search of food to munch. Just put one in your set up and sit back to enjoy the reaction. As one of our customers said: "What a shame they aren't real!" 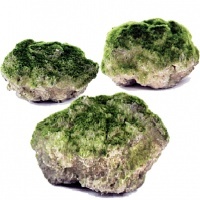 Your very own funky sea snail is now available direct from Aquarium Parts and Aqua One. This realistic model will amaze visitors and raise a smile where ever you place it. Soft bodies with hard decorative shell, guaranteed safe for use in any aquarium. Easy to clean and keep looking good.